We here in the Halls of Rock Town are sometimes taken to task for being overly negative, snarky, hyper-critical, and all too often, just downright rude. As part of our collective efforts to bring a bit of sunshine and light to the world wide web, we occasionally make an extra effort effort to find something good to say about, you know, stuff that is clearly godawful. To some people. It is in that spirit that we embark on yet another effort to bring some positivity to our proceedings. Please spend some quality time with music written by the band above, then — if you can — please find something nice to say about them. You’ll feel a whole lot better, I promise you. I look forward to your comments. 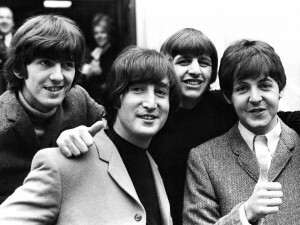 Just remember, if you can’t say anything nice about the Beatles… please don’t say anything at all. Does this this performance by Eric Charden suggest feelings of hope or hopelessness? I’m pretty sure you’ll agree that this performance is lacking something, but with a little guidance from the taste-makers at Rock Town Hall, can it be worked into something worthwhile? It is in that spirit that we embark on yet another effort to bring some positivity to our proceedings. Please spend some quality time with the video above, then—if you can—please find something nice to say about it. You’ll feel a whole lot better, I promise you.